One of the missions of Unity Partnership is to work with members of law enforcement to create educational programs to address questions and concerns in the community. 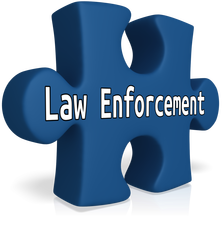 To that end, our law enforcement committee has been meeting regularly with two local chiefs and developed a course in the roles and responsibilities of the police and citizens in a traffic stop. The course format is highly interactive and includes both didactic portions and a summary handout. We videotaped three common scenarios which illustrate a variety of the challenges faced by police and citizens during a stop. We then conducted two pilot classes with local church communities, one predominantly white, and the other African American. We also offered a class in Spanish to members of the Latino community. Participants were very open and gave us frank and detailed feedback about the quality of the materials and content. We continue to revise and refine the course and look forward to offering several additional sessions in the fall of 2018. We are hard at work developing our next course on the use of force. We know this is a topic around which there is a great deal of controversy and interest. Unity Partnership and one of our local police affiliates participated in a Job Fair sponsored by the Chicago Urban League. The goal was to increase diversity by recruiting minority applicants for law enforcement positions.